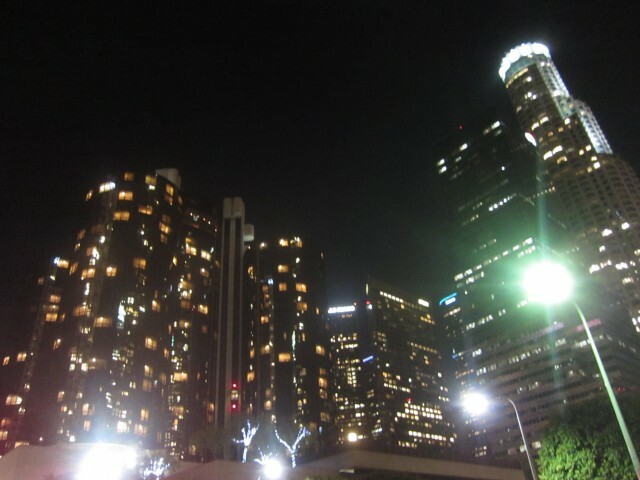 The Westin Bonaventure, the round, stubby building is hard to miss in the Los Angeles downtown cityscape. 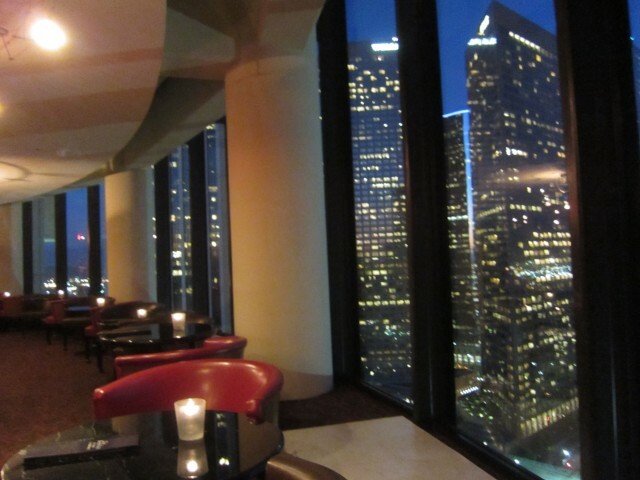 Traveling Figueroa almost daily, I always pass by the Bonaventure and remember the birthday dinner I had at L.A. Prime. Just below this beautiful steak restaurant sits a revolving restaurant / bar. Inch by inch, as you sit and enjoy your cocktail, you are moving. Looking out to the city, 30-something floors up, you are in awe of the beautiful lights and buildings. 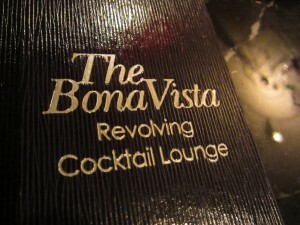 I wouldn’t really come here to have dinner, but drinks and dessert were part of the plan. The inside was a bit dark, and the colors were old. Compared to L.A. Prime, this place was a lot more casual. The red on red decore was worn and dated — it made everything, pictures included, red. Despite that, I was still amazed that the floor was rotating with the city skyline. I wanted a souvenir cup with pina colada, so I got a souvenir cup with pina colada. 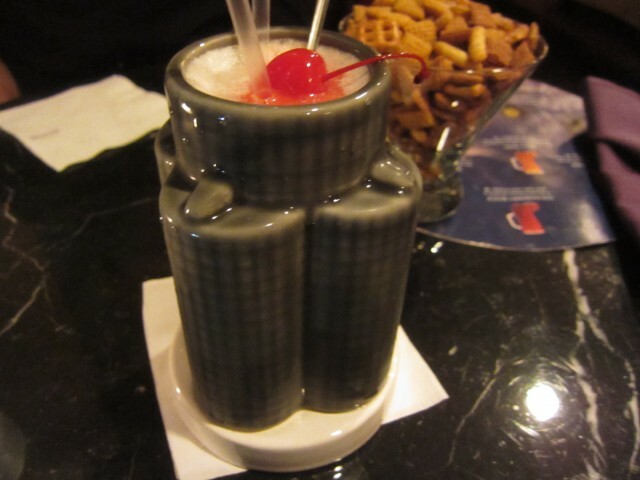 The drink was alright, nothing special. The cup was equally alright, nothing special. I was just staring outside half the time, mindlessly eating the Chex Mix. I would also like the mention the dark brown garlic bread looking things are the best. And yes, the pretzels were left over. Anyways, the drinks were standard. This would be a cool and novel spot to bring friends and or a date to have a casual drink and talk. 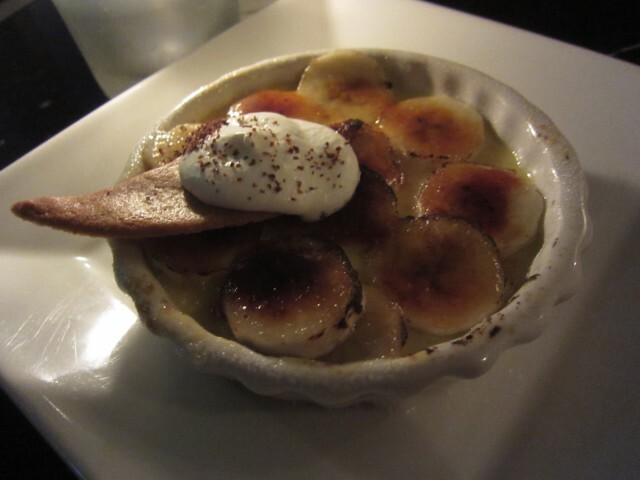 For dessert, I had the banana creme brûlée. Not one of my favorite desserts in the world, the custard was still delicious. I am a purist — I like just regular creme brûlée. No bananas on top or inside. All I want is a creamy custard inside and the crisp crunchy top of the caramelized sugar. Maybe a little strawberry and blue berries for garnish, but that is it. But then again, this dessert with the amazing view made it all worth it. At the end of the day, if I had the same drink, the same Chex Mix, and the same dessert anywhere else, I would have been quite disappointed. Obviously, their biggest selling point is the view. The marvelous spectacle, a literal 360 degree view of Los Angeles is good enough for me. The food may be mediocre and the vibe might be dead, but it doesn’t matter. Looking out into the the most amazing city within the city, you can appreciate every bit of it. Check out the video below for the fun elevator ride up and down.